Ronald Reagan’s small-government crusade led directly to our current era of slow growth and massive income inequality. But his vision still dominates the political landscape. Why? Since Reagan brought back the Minimal State, poverty has increased during GOP presidencies and decreased under Democrats. Source: W. Berkson Analysis of Census Bureau Data. History shows that sustained, equitable growth only happens during periods of strong government investment in both the commercial and social welfare spheres—what I call the “Investment State”. Its opposite is the “Minimal State,” which reduces taxation and investment, and leads only to slow growth, destructive levels of income inequality, and deepening social divisions. Although the evidence for public investment is irrefutable, throughout our history we have swung between two competing poles, big government vs small. It takes time for the pendulum to swing. And only now, almost 40 years since Reagan reset the clock, does the electorate seem ready to repudiate the failed view that “less is more” in government. But the transformation will not happen by itself. Democrats must seize the initiative to educate voters on the virtues of largescale public investment. We can understand the inflection point we now face—and the opportunity for Democrats to shape the future—by taking a quick stroll through history. We have to do this because it is nearly impossible in the short term to disentangle the impact of different tax and investment policies. When we look at the long term, a decade, or, better, a generation, then, as a series of recent, superb economic histories have pointed out, the Minimal State has been a huge failure, and the Investment State a big success. 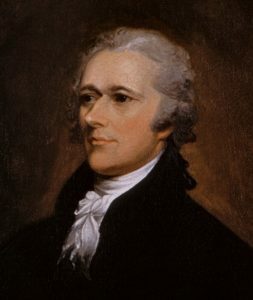 The debate over the proper role of government in investment dates back to Alexander Hamilton and Thomas Jefferson and has been often reprised in different versions since. But the evidence comes down squarely in favor of Hamilton, whose 1791 Report on Manufactures proposed that federal government credit and investment could stimulate the growth of industry. By contrast, Jefferson derided the Erie Canal project as “next to madness” and his ally James Madison vetoed federal support as president. Yet when the 400-miles canal was completed in 1825 – with major support from New York state – it reduced the price of midwestern grain in New York harbor by 90%! The resulting trade boom made New York City the biggest city in America, and launched it as a world financial center. Later, Pres. Andrew Jackson crusaded for small government, fiercely opposing federal investments and a national bank to fund them. Meanwhile Jackson’s rival Henry Clay championed “The American System” of federal support for agriculture, education and industry—a version of the Investment State. 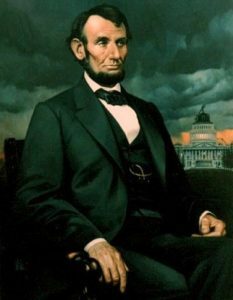 Following Clay’s lead, Abraham Lincoln became the Great Investor, as well as the Great Emancipator, using federal assets in lands to establish land grant universities, provide land to smallholder farmers and extend a railway across the continent. These investments helped create markets which fueled the industrialization of the U.S. after the Civil War. Government investment in the 19th century not only aided nascent industries but created an education system, fully tax-supported, to equip Americans to take advantage of the opportunities opened up by a growing economy. Today, education remains the largest ongoing investment by local governments, although like so many government services it is under attack by misguided small-government advocates. Despite Lincoln’s example, extended by the Progressive policies of Theodore Roosevelt, proponents of minimal government captured the Republican Party in the early 20th century, leading the country into the Great Depression. In reaction to the debacle, Democrat Franklin Delano Roosevelt doubled down on the Investment State, adding social insurance programs, protecting workers’ right to organize, and following noted economist John Maynard Keynes in using deficit spending to pull out of economic downturns. Post-war presidents from both parties continued to invest, and the nation continued to benefit. The interstate highway system, the Defense Advanced Research Projects Agency, and the National Defense Education Act, which strengthened science education, were enacted under Dwight Eisenhower, a Republican. For his part, Democrat Lyndon Johnson created Medicare, declared War on Poverty and passed bills giving full civil rights for African Americans, turning the Democratic party fully into the party of Lincoln. While employed as a promoter for General Electric, Reagan—originally an FDR Democrat—had been converted to an extreme libertarian ideal espoused by Austrian economist Ludwig von Mises. Mises held the state should only protect private property, contracts, and against fraud, and otherwise stay out of the economy. Mises became as important in Reagan’s policies as Keynes has been for Democrats since FDR. Not that Reagan’s small-government views actually led to balanced budgets. In fact, the national debt grew under Reagan from $908 billion, or 32% of GDP, in 1980 to $2.6 trillion, or 49% of GDP, in 1988—an increase in the debt of almost three times! 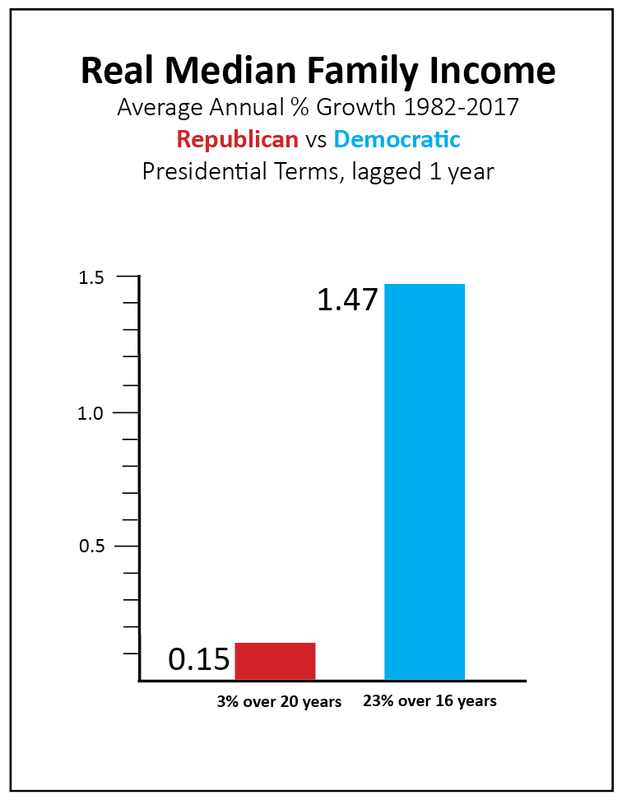 But the ideology of Reaganomics—cutting government spending, taxes, regulation and social programs – has continued to infect both parties ever since. Even Democrat Bill Clinton, proclaiming “The era of big government is over,” offloaded government functions to private contractors and state governments—often with worse results, and with the same or increased federal spending. He also supported deregulating the financial industry, helping to create the environment that led to the financial crash of 2008. But the crash—and subsequent Great Recession, the worst economic downturn since the Great Depression—must be laid principally at the doorstep of Pres. George W. Bush, a more doctrinaire Reaganite than Reagan, who oversaw huge “reverse Robin Hood” tax cuts and favors for the rich, while further easing federal regulations. Much like FDR, Barack Obama resorted to largescale deficit spending to get the country out of a crisis sparked by years of Minimal Government policies. 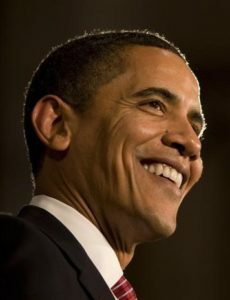 Obama’s Recovery Act stimulus steered the economy back into recovery, while the expansion of healthcare under the Affordable Care Act improved social welfare, and the Dodd-Frank Act curbed the excesses of a financial industry gone rogue. Also like FDR, Obama’s pump-priming measures were opposed by small-government adherents—this time, calling themselves the “Tea Party”. 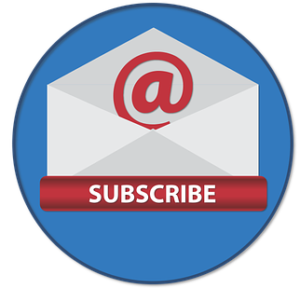 Pressure from the Tea Party made Republicans in Congress even more rigidly anti-government and the political gulf between big- and small-government proponents widened dramatically. Trying to heal this division, Obama refrained from using his great rhetorical powers to champion some version of the Investment State. He asked for half of what Keynesian economist and Nobel Prize winner Paul Krugman said was needed for the stimulus. And as Krugman predicted, instead of being praised for the recovery, he was blamed for its tepid pace. Though Obama succeeded in saving the country from disaster, median family income had declined during his first term from the impact of the great recession, and ended up after the second term only one percent higher than the peak before the crash. Consequently, middle class resentment continued to build, especially in Rust Belt areas, helping to propel Donald Trump into the White House. True to his word, Trump cut taxes, mainly for the rich, and walked back from regulation. But rather than laying the foundation for sustained, balanced growth, the Reaganite policies of the Trump Administration have continued to divide Americans—economically, politically and socially—while the “sugar high” of the unwarranted tax cuts is now wearing off, and income inequality continues to climb. Democrats, and all Americans, need to understand that the Investment State has guided us throughout our history to sustained, equitable growth. It is the Minimal State that is the aberration, leading us into wage stagnation and our greatest economic reversals. 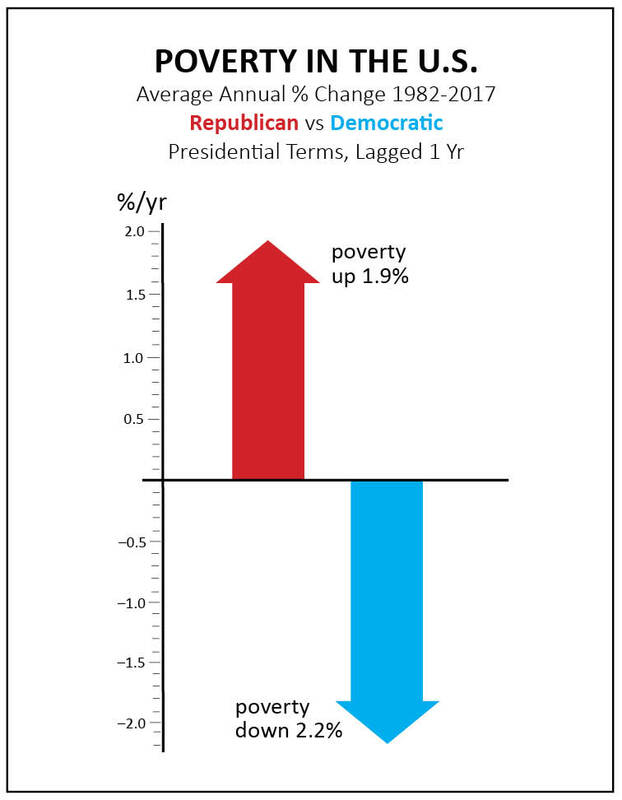 Even more strikingly, while Democratic presidents have been able to reduce the rate of poverty, the reverse is true of Republican presidents, during whose tenure poverty has risen. The contrast between the Reaganomics era, from 1980-2008, and the previous period, 1947-1979, is even more stark. In the earlier era, investments by both parties were much stronger and top tax rates double even recent Democratic ones. The result: families at all five quintiles of the income ladder roughly doubled their incomes—fair, large gains all around—compared to the slower and highly unequal growth since. The clear conclusion: the whole economy benefits when taxpayers pay their fair share and government uses the money to invest in public goods and services. The lessons of history are clear. The question is, how can Democrats convert these lessons into votes? The most effective argument against the Investment State is to wrongly characterize it as socialism. In fact, the Investment State is the best defense against socialism in the Marxist sense. Let’s be honest. Unregulated markets in industrial economies, as Marx saw in his day, do lead to concentration of power in a few monopolies, to extreme inequality of wealth, to corruption of politics by the extremely rich, and to booms and busts, with high unemployment. But rather than throw the capitalist baby out with the dirty bathwater, the Investment State cleans up the tub, by using multiple, powerful tools of government: progressive taxation; investments in education, research and infrastructure for growth, as well as Keynesian deficit spending to pull out of downturns; and investments in basic economic security, legal protections—including of labor— to spread the benefits of growth fairly to all. These policies, rigorously pursued, preclude monopolies, avoid extreme inequality, and discourage the corruption that comes with both. 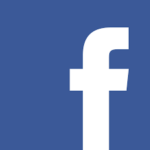 They do this while maintaining high productivity, growth and individual freedom. In contrast, Marx’s version of socialism—public ownership of the means of production—led, in Communist states, to economies with anemic growth and crushing oppression. Social insurance is not Marxist-style socialism, although Marxists want to claim it as their own because of its success. Right-wing opponents of basic economic security ensured by government also confuse the debate by labeling social insurance as “socialism’. 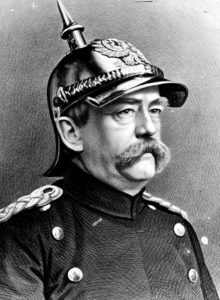 In fact, social insurance was originally instituted in Germany in the 1880s by Otto von Bismarck, the Iron Chancellor, who hated socialists. He instituted social welfare measures to combat Marxism, as well as to reduce the flight of German workers to America, where working conditions were better. 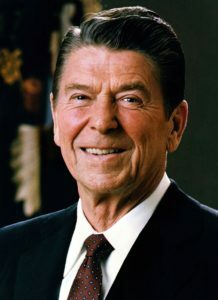 He had the right idea, an idea that has been successful in every country it has been tried, and never repealed anywhere. For Democrats to dominate at the ballot box, they need to successfully convey that the Minimal State is not only ineffective but un-American. It destroys prosperity and opportunity, and unfairly hurts the middle class and poor. The truth must be told clearly and relentlessly. The notion that you can have a land of opportunity without a government that invests heavily in its people is the doctrine most discredited by our history. We suffer, increasingly, the effects of this fallacy today. infrastructure construction, up to the full $2 trillion over the next ten years prescribed by the American Society of Civil Engineers. 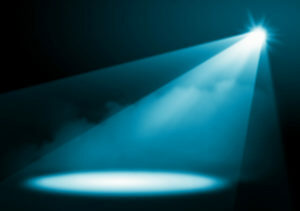 entrepreneurial state investments, meaning subsidies to socially needed developments in the private sector, including major investments in new green technology. 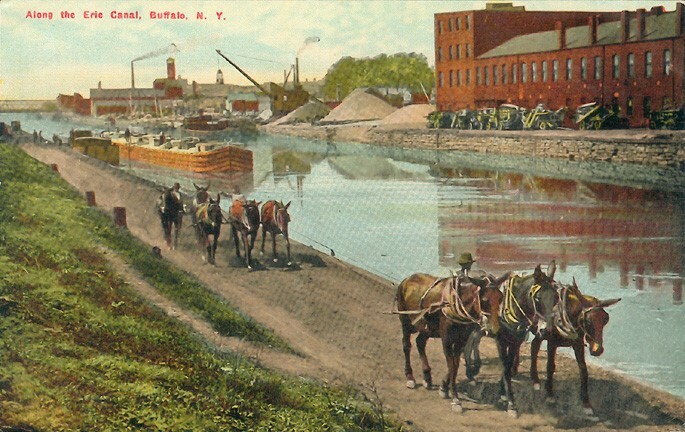 From the Erie Canal to the internet, from Social Security to the Affordable Care Act, public investment has had huge long-term benefits for the whole society: creation of new markets, new businesses, well-paying jobs, and greater economic security. That is the message that Democrats must unwaveringly deliver. Invest in the American people for a brighter future for all Americans. 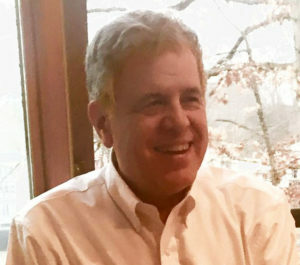 William Berkson has a Ph.D. in philosophy and is a frequent writer on politics and policy for publications such as Washington Monthly and Columbia Journalism Review, as well as The Blue View. 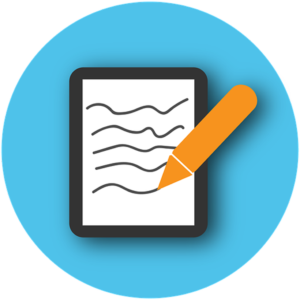 He is a member of Hunter Mill District Democratic Committee and chair of Herndon Reston Indivisible’s Economics Committee.